The right cubicle or workstation has a big impact on the look, feel, and productivity of an office environment. 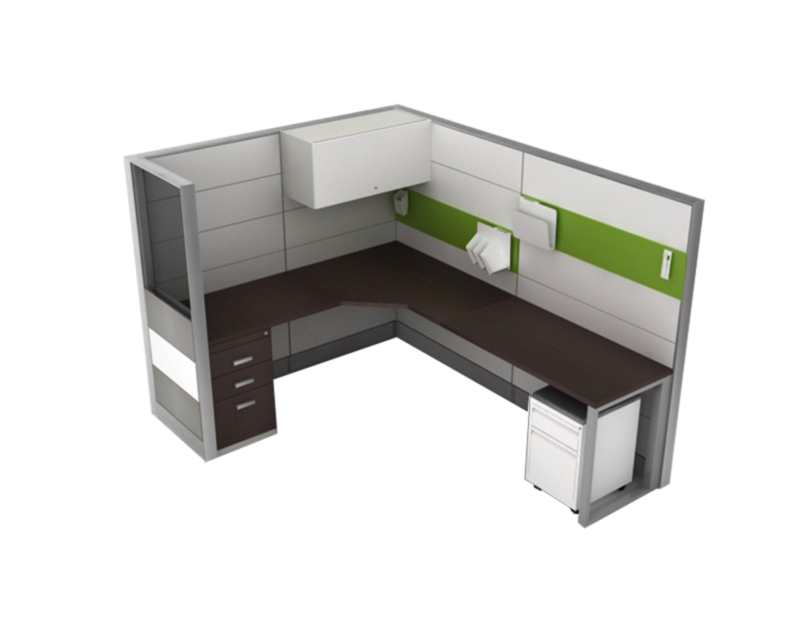 We offer workstations and cubicles to fit your needs. Our options include - panel-based, open-office/free-standing, sit-stand/adjustable height workstations and cubicles, and more. 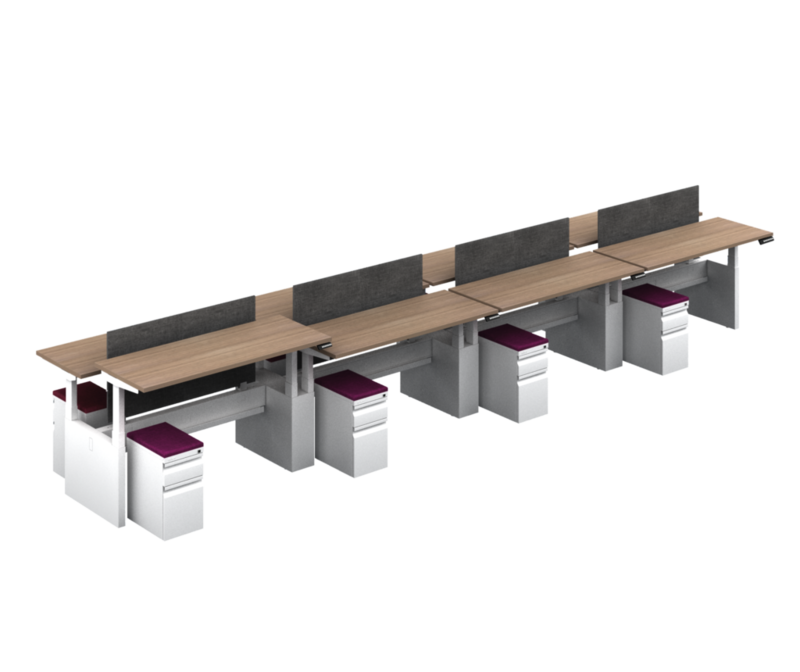 Below are a few examples of our workstations and cubicles, all of which are available in different configurations and finishes. 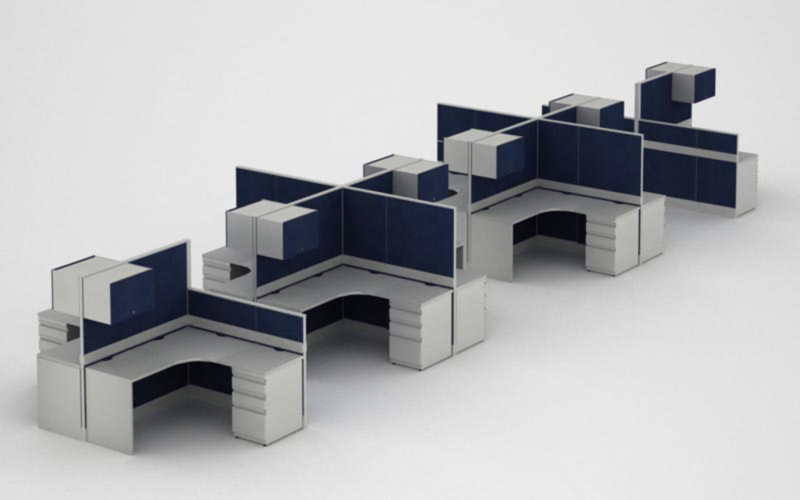 This modular collection allows for multiple configurations to optimize space and create organized, productive workplaces. 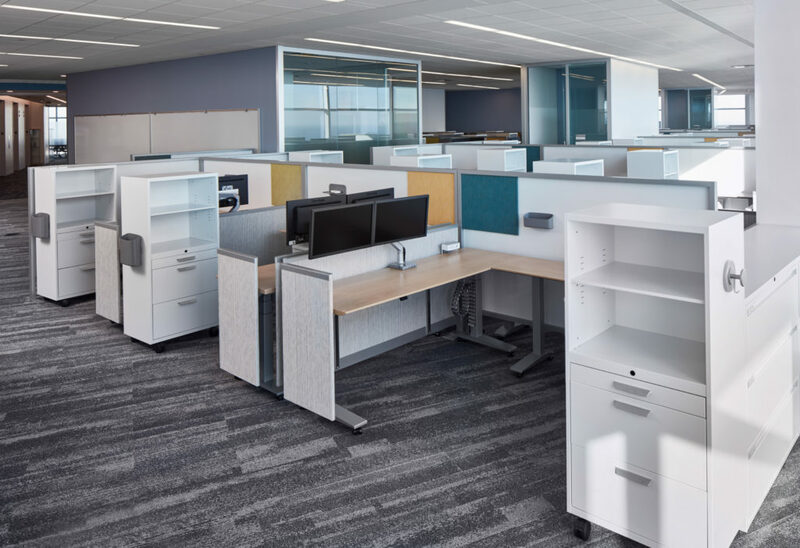 Designed using panels in various materials and finishes, you can create customizable work environments. This modular collection creates environments of high design and great functionality, optimizing space with multiple configurations that adapt to different levels of interaction and privacy among users. Customizable, modular furniture - a design philosophy that invites you to rethink and rearrange your space – independently and on the fly. For a truly custom look, create a perfect blend by integrating individual pieces and loose furniture for a more fluid, residential feel. 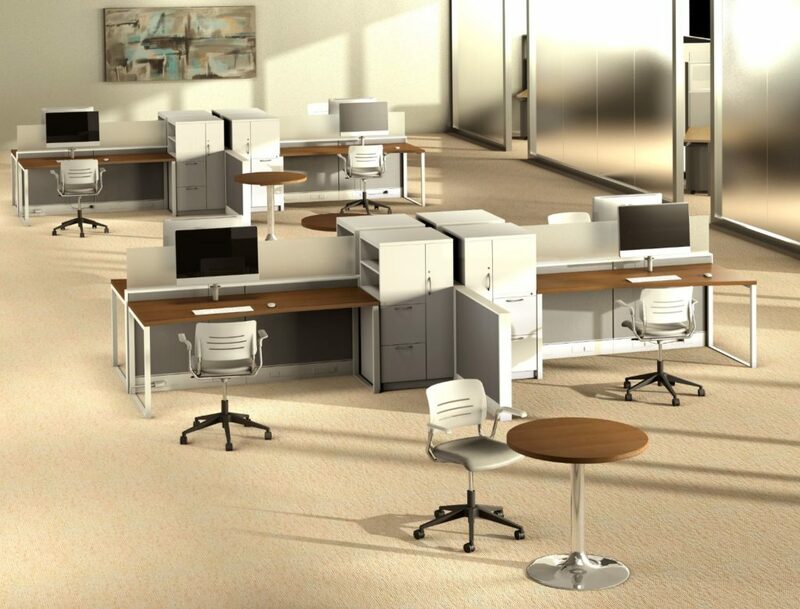 Our Michigan-based furniture professionals will help you select the best workstations and cubicles for your workspace.